BRYAN EATON/Staff photo. 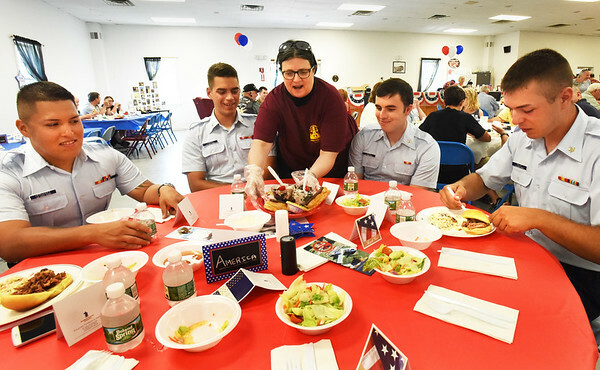 Donna Jarvis served members of U.S. Coast Guard Station Merrimack at the Veteran's Luncheon at FIremen's Memorial Hall in Newbury. From left, Seaman Christian Hernandez; Petty Officers Gregory Vargas, Chris Dugas and Max Balint.